Questions regarding longevity and legacy are critical to all art forms, but especially to dance because of its ephemeral nature and vital relationship to the present. 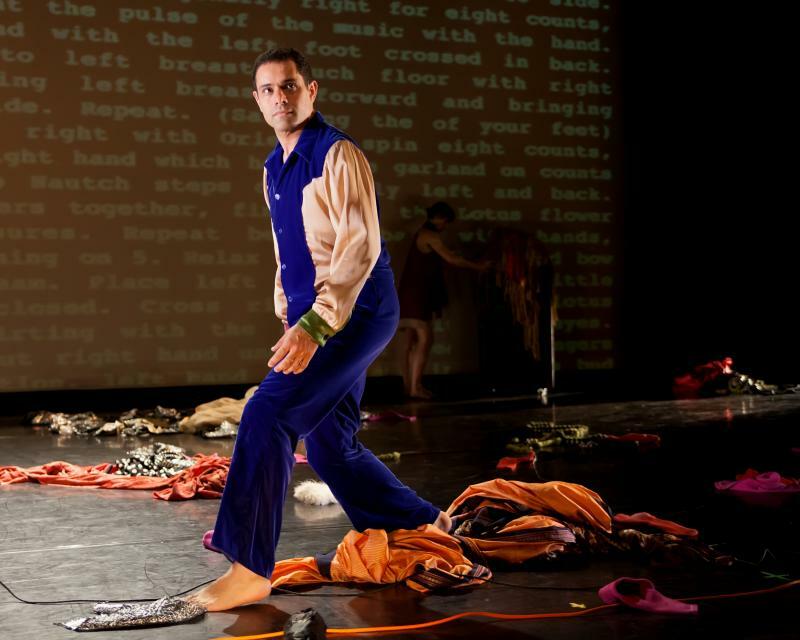 The recent closing of Trey McIntyre Project by its founder and Artistic Director has fueled discussions not only about the legitimacy of an artist’s decision to discontinue a thriving organization, but also about the viability of the traditional model of the dance company, which is significantly challenged by the economic environment. At the other end of the spectrum, choreographer Paul Taylor announced earlier this month the creation of the Paul Taylor’s American Modern Dance, a center dedicated to the preservation of modern dance works. It is in this context that Lionel Popkin’s exploration of choreographer Ruth St Denis’ legacy becomes particularly relevant. For Popkin, investigating the work of Ruth St Denis (1879-1968) is a bit like rummaging through the attic of an old relative, prying open wooden chests and letting the wardrobes spill across the floor. In the musty smells, faded colors, and worn fabrics, stories are held. Revisiting these historical relics can shed new light onto one’s lineage and identity. In Ruth Doesn’t Live Here Anymore, colorful articles of clothes mushroom across the stage, creating soft mountains of various shapes in the performative landscape. Half enfant terrible, half anthropologist, Popkin goes through the mess like a rebellious child who doesn’t take things for granted but instead chooses to explore, question and formulate his own answers. Popkin thoroughly dove into St Denis’ archives in Los Angeles, home of the Denishawn School of Dancing and Related Arts. Founded by St Denis with dancer Ted Shawn in 1915, the school trained modern dance pioneers such as Martha Graham, Doris Humphrey and Charles Weidman. In St Denis’ archives, Popkin found journals filled with references to the costumes as the starting places for her dances. He used them as a point of entry in his piece. “Ruth Doesn’t Live Here Anymore” will be showcased at the Walking Distance Dance Festival on Friday, May 30, 7:30pm, at the ODC Campus. 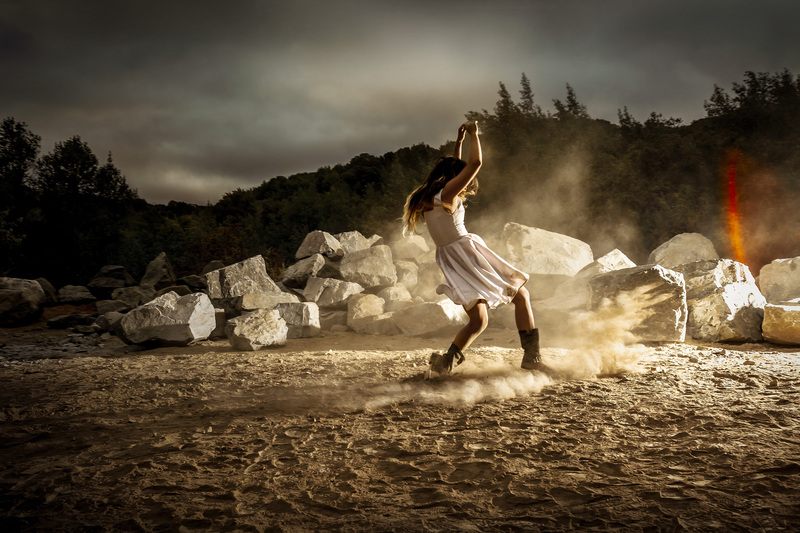 Whether it portrays the intimacy of two lovers, the interaction between an artist and her medium, or the resilience of an individual in dire circumstances, ODC/Dance highlights the intricacies of human relationships. Their physical language tracks the robust and yet vulnerable landscape of the emotions. Mirroring the physicality of the land and the hidden architecture of the body, boulders and bones calls to the elaborate interdependency between humans and their environment. Inspired by the ephemerality inherent in much of artist Andy Goldsworthy’s work, we are led through the transformative and alchemical stages of the artistic process, from the crude weight of matter to the ineffable lightness of being. When a single dancer walks perpendicularly into her fellow performers, evenly arranged in a straight line across the stage, the malleability of space becomes visceral. Her torso arched, she advances and compresses the row of bodies in front of her, exposing the very nature of the choreographic act. The attention to the subtleties in relationships is present within each of the season’s pieces, but also in the way this season’s four dances relate to each other. Consider the white line of chalk carefully drawn by one of the dancers in Triangulating Euclid: first well defined, then gradually blurred, it recalls the white powder exploding from the dancers’ costumes throughout boulders and bones. It also evokes the transformation of Andy Goldsworthy’s works in nature, challenged by the passage of time. Similarly, as the pulses of light, at the beginning of Two If By Sea, reproduce the call for a receiver in Morse code, they echo Laurie Anderson’s disembodied question “Is anybody home?” in Unintended Consequences. Invoking the necessity for performers to listen and respond to each other, this signal also triggers the viewers’ own attentiveness to the work. Throughout the evening, we are urged to pay attention to the artists’ own ‘languages of gesture and shadow’. 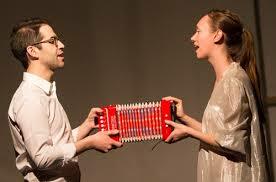 Two If By Sea forms a timely prologue to ODC Theater 2014 Season: dedicated to the relationship between dance and music, it proposes artists and viewers alike to delve into the art of deep listening. What are ways in which music and dance inform each other? How does careful and attentive listening augment the viewing experience, and vice versa? 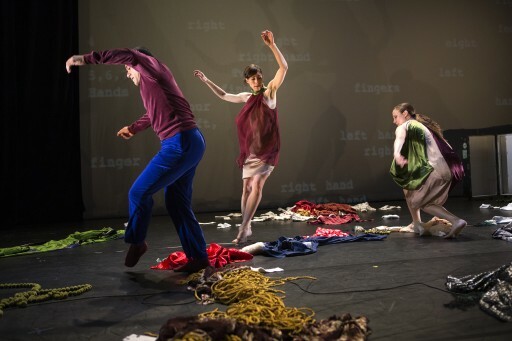 In their essay Parameters Of Perception: Vision, Audition, and Twentieth-Century Music and Dance, composer Allen Fogelsanger and choreographer Kathleya Afanador note that “the relationship between sound and movement is both a close one and a complex one. 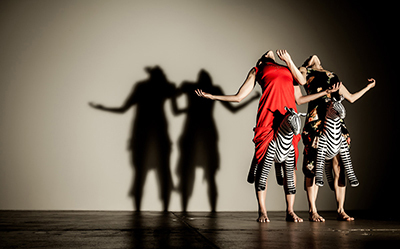 The connections are not direct; the mapping is not one-to-one.” Where traditional dance may intertwine movements and sounds in a way where the body is responding to auditory stimuli, artists have continuously explored, torn apart and reimagined the connections between music and dance. How can we further explore the specific nature of how sound and movement relate and/or integrate? How do artists approach the score in relation to the choreography? And how does the dance make one see the music, how does the music make one listen to the movement? Touching upon the capacity for both senses to feed each other, Linda Hodes, founding rehearsal Director of Taylor 2, said of choreographer Paul Taylor’s innate musicality: “I hear music differently after I’ve heard it through his eyes.” Movements can change the perception of a sound and vice versa. Richard Siegal’s o2Joy, performed by BODYTRAFFIC at ODC Theater this past fall, featured music by Ella Fitzgerald, Billie Holiday, Glenn Miller, and The Oscar Peterson Trio. The dance added new layers to the familiar tunes. As the dancers leaped through the stage or performed a quick savvy step, one could visualize the elasticity and playfulness of the music, in ways that would not have been possible if the music had not been accompanied by the movements generated by the performers. 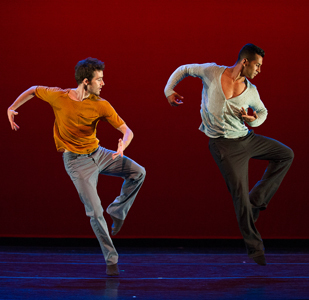 Similarly, in Gregory Dawson’s 808 KICK revised, presented at the 2014 Black Choreographers Festival last weekend, the sound of crashing waves emphasized the fluidity and texture of the performers’ movements. Aside from the musical score, other layers of sound participate in the experience of watching and listening. From the coughs of fellow audience members to the audible breath of performers, one can explore the soundscape of a performance and how it enhances or disrupts one’s apprehension of the movement language. Some choreographers also explore the inherent musicality of the body and accentuate its capacity to make sound: clapping, rhythm making with body parts, spoken text add layers to an existing musical score. Bliss Kholmyer’s Snapshots of Longing, also showcased at the BCF last weekend, incorporated silence, which allowed the viewers to measure the absence of music and its visual weight within a piece. When using live music, some artists incorporate the musicians’ physical presence into the choreography. In one section of Garrett + Moulton Productions’ A Show of Hands, presented at the JCCSF last October, the dancers carefully removed the instrument of three members of the Friction Quartet, who were performing on one side of the public performance space. To the sound of the remaining cellist, the dancers lifted the musicians’ bodies in the air, proposing a literal reversal of the traditional notion that the music supports the dance. As artists investigate and reveal the (dis)connections between sound and movement, they creatively occupy and elaborate the nuances of space. Noting the specificities of the conversation between dance and music, we can delve into the artwork in ways that may highlight parts previously concealed. We can observe how the dancer’s body is listening -literally through movement- as a form of navigation and expression, and how artists continue to disclose the many ways in which music moves and gesture sounds. Hung from a string at a slow diagonal, a plastic water bottle hovers within a dimly lit performance area. Rhythmically tapping the air like a metronome is the sound of liquid dripping. 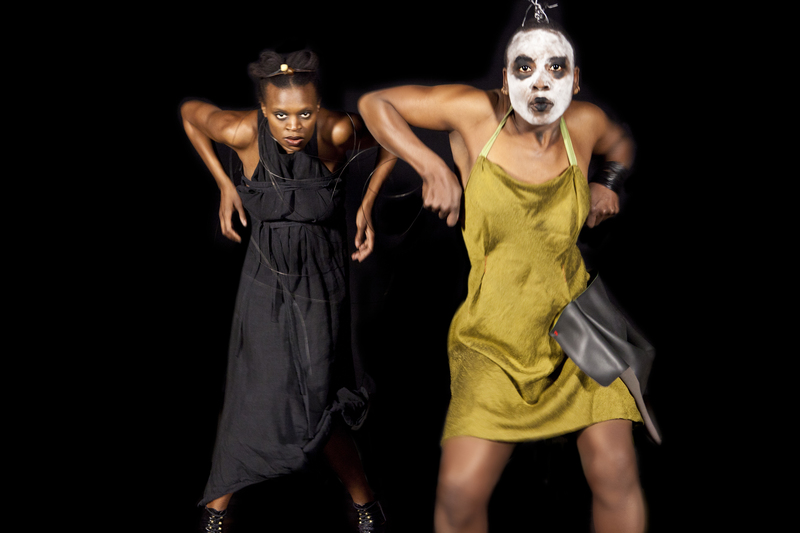 This is how Nora Chipaumire’s dance theater performance Miriam begins. The drip of water recalls a faulty sink with its discrete but insidious noise that nags at the back of your mind, keeping you awake in the wee hours of the night. More often than not, one will get up and adjust the troublesome faucet. But what happens if you can’t fix it and the water keeps leaking? The noise becomes menacing, haunting you deep into the night. Perhaps it is the dark history of colonialism -the kind that scars generations long after the weight of oppression is lifted- that Chipaumire’s piece refers to in her tribute to South African singer Miriam Makeba, performed at YBCA mid-February. But its scenic tools –the set, sound and lighting- also point to the viewer’s own reflexes and habits, our yearning for the world to be in order: turning on the light when entering a dark room, tightening the leaking faucet. What if things can’t be fixed the way we’d like them to be? What happens when a performance presents us with aspects that we are not expecting or comfortable with? These letters I print across the page, the scratches and scrawls you now focus upon, trailing off across the white surface, are hardly different from the footprints of prey left in the snow. We read these traces with organs honed over millennia by our tribal ancestors, moving instinctively from one track to the next, picking up the trail afresh whenever it leaves off, hunting the meaning, which would be the meeting with the Other. In comparison to our hunter-gatherer ancestors, the questions we are asking in order to ‘encounter the other’ when watching a dance performance are quite similar. As the skilled tracker deciphers how fresh a print is and what animal it might belong to, the present day audience members may ask themselves “what do these movements mean?” and “where are they leading the narrative?” In both instances, decoding ensues. Consistent with Abram’s theory, when we ‘read’ a dance performance, we, consciously or not, encounter the other. At the beginning of People Like You, showcased at the Walking Distance Dance Festival last May, Leslie Seiters and Rachael Lincoln are sitting downstage right, with their back to their audience and looking into a mirror. As the two performers gaze at themselves, the audience is reflected in their mirror. The opening of the piece is a visual analogy to what being a spectator also means: as we watch a dance unfold, we can see the performers, people like us, move through the dilemmas and life events that we all face. Watching the performers, we ultimately learn about ourselves. Questioning the art work, we are reminded of its ability to interact with us, and the ways in which it can “echo one’s own [sentience and] instill a reverberation in oneself that temporarily shatters habitual ways of seeing and feeling, leaving one open to a world all alive, awake, and aware,” as Abram writes. Every encounter with art holds that potential. When we recognize that we are entering in contact with another form of discourse, we can allow ourselves to be moved and affected. Synaesthetic perception is the rule, and we are unaware of it only because scientific knowledge shifts the center of gravity of experience, so that we have unlearned how to see, hear, and generally speaking, feel, in order to deduce, from our bodily organization and the world as the physicist conceives it, what we are to see, hear and feel. Both Chipaumire and Merleau-Ponty emphasize a way of seeing in which the entire body is implicated as a sensing organism. Optimally this sensual experience is shared so that both the viewer and the viewed ‘recognize’ each other. When we are introduced to a performance, we can observe the poetic structure of the stage and at the same time allow ourselves to also be seen within this environment. Inevitably the implications of this kind of seeing suggest a collaboration, one which can either be voluntary or involuntary.